Verwendungszweck This antibody is designed for the specific localization of human lambda light chain using IHC techniques in formalin- fixed, paraffin-embedded tissue sections. This antibody is useful for identifying leukemias, plasmacytomas and certain non-Hodgkin lymphomas. The demonstration of clonality in lymphomas infiltrating indicates that infiltration is also clonal and malignant. Immunogen Lambda light chains purified from human Bence Jones proteins. Produktmerkmale Antibody to the lambda light chain of immunoglobulin is reportedly useful in the identification of leukemias, plasmacytomas, and certain non-Hodgkin?s lymphomas. Demonstration of clonality in lymphoid infiltrates indicates that the infiltrate is clonal and therefore malignant. Immunohistochemistry (IHC) is a complex technique in which immunological and histological detection methods are combined. In general, the manipulation and processing of tissues before immunostaining, especially different types of tissue fixation and embedding, as well as the nature of the tissues themselves may cause inconsistent results (Nadji and Morales, 1983). Endogenous pseudoperoxidase and peroxidase activity or endogenous biotin and alkaline phosphatase activity can cause non-specific staining results depending on the detection system used. Tissues that contain Hepatitis B surface antigen (HBsAg) can produce false positives when using HRP detection systems (Omata et al, 1980). Insufficient contrast staining and/or improper mounting of the sample may influence the interpretation of results. Benötigtes Material All reagents, materials, and laboratory equipment for IHC procedures are not provided with this antibody. This includes adhesive slides and cover slips, positive and negative control tissues, Xylene or adequate substitute, ethanol, distilled H2O, heat pretreatment equipment (pressure cooker, steamer, microwave), pipettes, Coplin jars, glass jars, moist chamber, histological baths, negative control reagents, counter-staining solution, mounting materials, and microscope. Staining pattern: Cytoplasmic. The interpretation of the stain results is the full responsibility of the user. Any experimental result must be confirmed by a medically established diagnostic product or procedure. Positive control: Tissue sample from tonsil. External Negative Control: Tissue sample homologous to the test sample incubated with an antibody isotype not specific for lambda light chain. Protokoll Principles of the procedure: The demonstrations of antigens by IHC is a sequential procedure with several steps involving first the application of a specific antibody for the antigen of interest (primary antibody), then a secondary antibody which joins to the first, an enzyme complex, and the addition of a chromogenic substrate. The sample is washed between each step. Enzymatic activation of the chromogenic substrate creates a visible product where the antigen is located. The results are interpreted using a light microscope. The primary antibody can be used both in manual IHC and with automated immunostainers. Paraffin-embedded tissue samples should be used. Western blot techniques are not recommended. Buffer The preparation contains saline buffer, stabilising and carriers proteins. Informationen zur Lagerung Store at 2-8 °C until the expiration date printed on product label. Do not use after the expiration date. If fresh solutions are required, these must be prepared immediately prior to use, and will be stable for at least one day at room temperature (20-25°C). Unused portion of antibody preparation should be discarded after one day.If the product is stored under different conditions from those stipulated in these technical indications, the new conditions must be verified by the user. 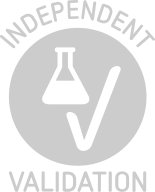 The validity period of the ready to use products when opened, is the same as the expiration date indicated on the label of intact product.